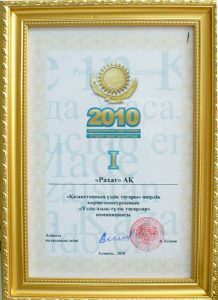 The “Best goods of Kazakhstan 2010” regional competition was held by Municipal authority of Almaty (Akimat) under the republican competition, which was organized by Ministry of industry and innovative technologies for the fifth time. 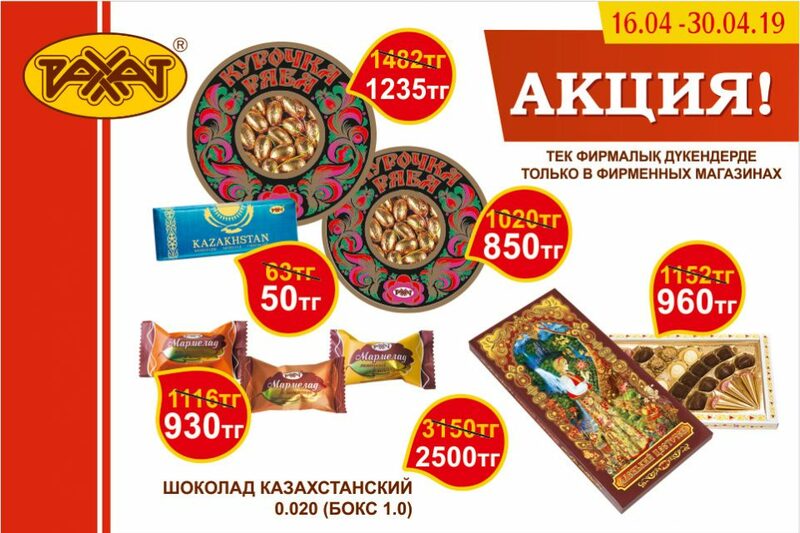 This anniversary initiated the organization of competition arrangements with the particular carefulness and attention to the consumer interests. 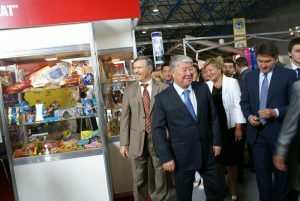 Another innovation from “RAKHAT” JSC became delicate chocolate, enclosing two symbols of south capital of Kazakhstan. 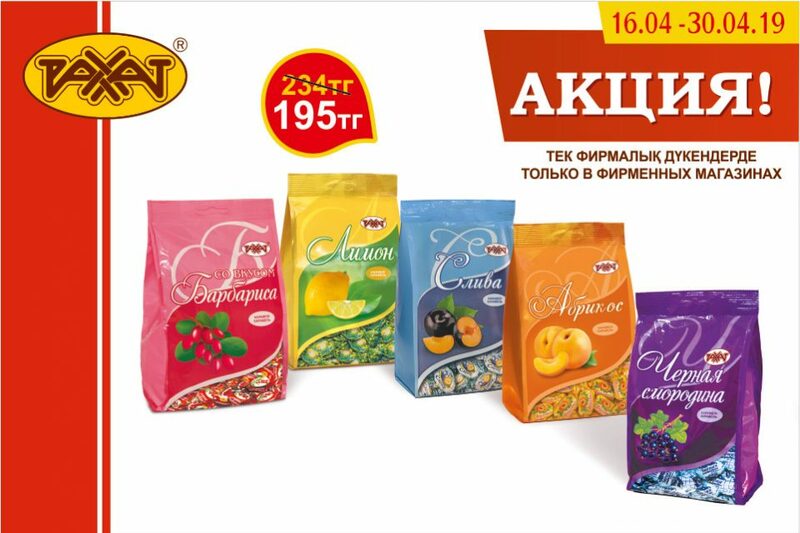 Chocolate is made in the form of alluring apple with the sprig and leaves. Ruddy red and appetizing green apples were made of foil of different colors. 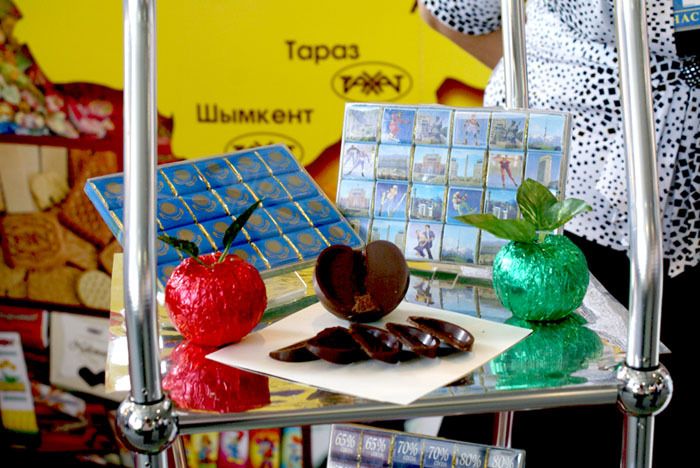 Unfolded chocolate apple is divided into 18 parts, which in a short time hide in the mouth of connoisseur of high-quality chocolate. 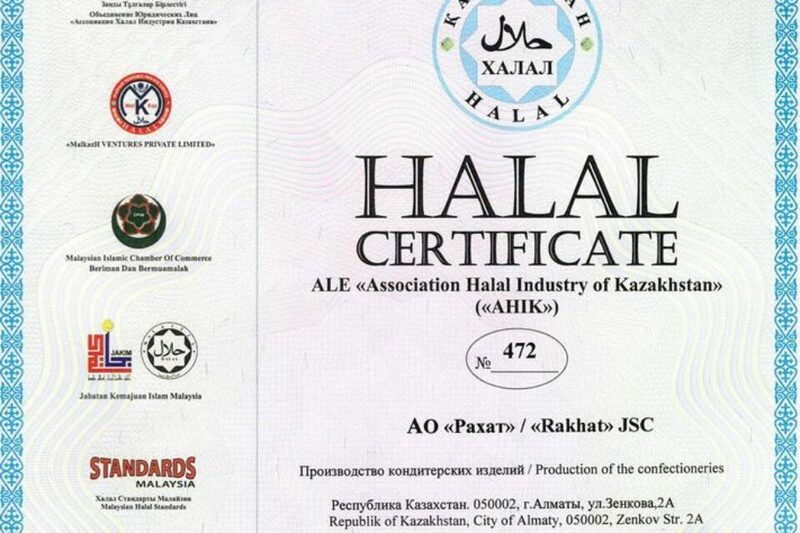 By the quality factors “RAKHAT” JSC was awarded with “Best food products” title in the similar nomination of competition.